The asset gap between the Big 4 RIA Custodians and the second-tier custodians is as wide as the Grand Canyon. With a combined asset base of over $2.5 trillion, the Big 4 would seem to have nothing to worry about from their small custodian peers. So how do niche custodians maintain their asset base and continue to grow in spite of their competition from below and above? One way to reach this goal is to offer cutting edge technology as part of a new RIA portfolio management platform. If well-executed, it can both garner attention and help build an attractive brand image for the custodian. Royal Bank of Canada’s (RBC) recently took this route and built a new advisor workstation, simply called BLACK, which they just launched. I had the opportunity to have a few conversations about BLACK with Noel Stave, COO at RBC Advisor Services. I was interested in the reasons behind BLACK’s creation, how it fits into their overall technology strategy as well as their support multiple advisor workstation platforms. Based solely on the number of broker-dealer clients, RBC is ranked a distant second behind industry behemoth, Pershing LLC. But RBC is still one of the largest clearing firms in the US, Stave explained. They have had a reputation as lagging behind their peers in technology and were considered to be “heavy,” he noted. BLACK was one their first steps in a long-term plan to change these perceptions and expand their RIA custody business. My first thought when presented with all of these platforms was, “why so many?” I’ve worked with bank and broker-dealer clients who have multiple advisor platforms and they often run into problems due to the additional time and effort required for customer support, integration and vendor management. RBC appears to have gotten a handle on these costs. As a large Canadian bank, they have well-defined partnership, procurement and vendor management policies, Stave explained. While supporting multiple vendors has been relatively easy, RBC won’t offer every technology solution, he insisted. Any additional technology requires a demonstrated need from existing clients. The reason for the multitude of platforms, according to Stave, is to enable RBC to offer advisors a wide range of options, from heavy to light solutions. They have no plans to consolidate or eliminate any of these technology choices, he insisted. Just because a bank has a solid custody offering doesn’t mean that assets will magically find them. Since RBC has historically been seen as lacking in advisor-facing technology, they needed to get their name out there as a player in the RIA custody space, Stave noted. The BLACK workstation was designed to leap ahead of their competitors, and be seen as an innovative advisor platform to help them close the perception gap. RBC is still a niche player in the RIA custody space, with just 64 direct RIA relationships, Stave reported. However, their average account size is over $1 million, which is significantly higher than the big 4 RIA custodians. According to Stave, the main reason for this is RBC’s upmarket capabilities that appeal to HNW clients, such as lending, multi-currency products and investment banking. The portfolio rebalancing functionality for BLACK is being provided by Vestmark, which Stave noted, has been primarily known as an asset manager platform until a few years ago when they started gaining traction on the sponsor side. Recently, Vestmark has expressed interest in being part of the RIA space, Stave commented. Vestmark was selected over providers such as Envestnet and FolioDynamix because both vendors already had advisor platforms and they didn’t want to compete directly with them, Stave emphasized. 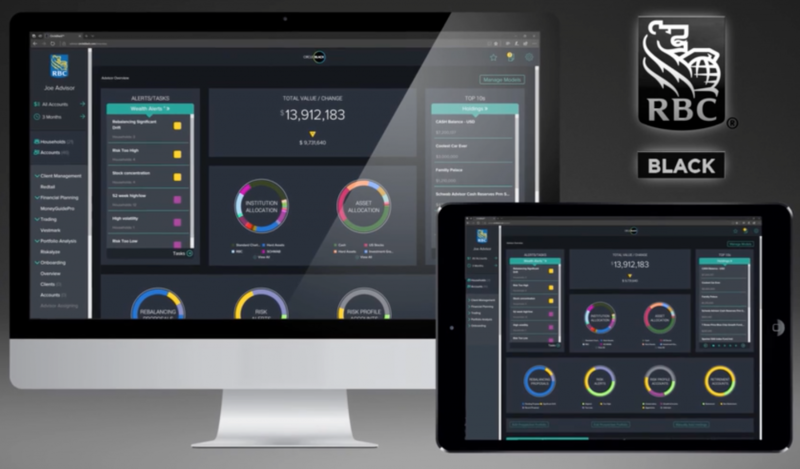 CircleBlack is the “integration hub” for the platform, connecting the other applications and providing a seamless user experience. 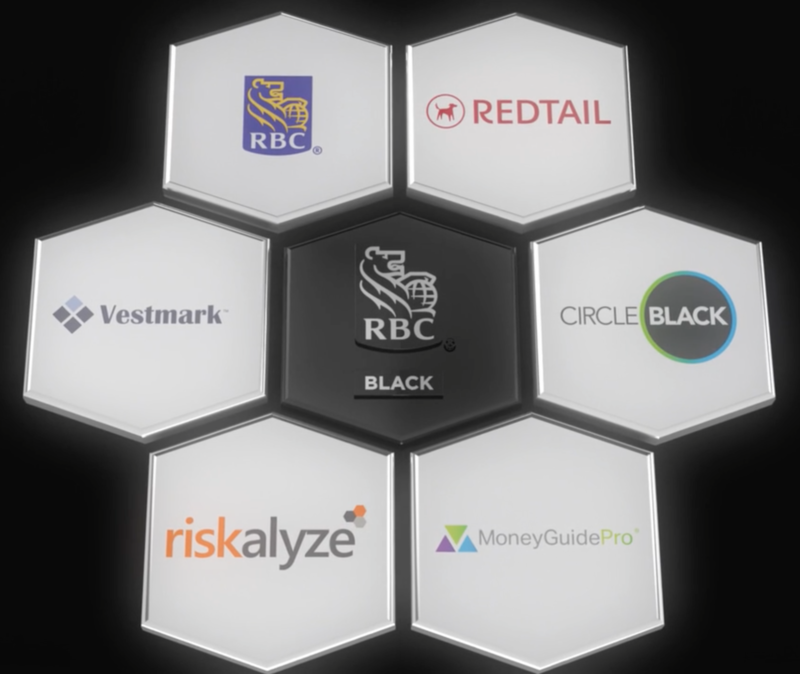 How has RBC Black experience influenced rest of technology at the firm? The effort to develop a best of breed solution was the first of its kind for RBC, Stave described. In the past, they built most of their advisor-facing technology internally. With BLACK, they let the external vendors do most of development work, RBC just shaped the direction and end result, he stressed. On the correspondent clearing side, we will see a steady stream of additions to the BLACK platform and standalone offerings, Stave hinted. They will continue to use product from independent fintech vendors. “The age of internally-building an independent custodian workstation has ended,” Stave exclaimed. BLACK is aimed squarely at fee-based advisors who have a holistic approach around financial planning, but Stave emphasized that it can handle commission business as well. This was done since many RIAs are part of dually-registered (hybrid) firms, he asserted. The shift in focus to RIA custody was enabled by their success on the IBD clearing and custody side of the business which reached record levels this year. The price for BLACK was set at a very competitive $175/month/advisor, which is 85% less than if you were to separately purchase the individual components, Stave noted. What is on the roadmap for BLACK? Stave shared that they plan to add an external billing system as well as automated account opening technologies at some point. Their goal is to integrate their system into whatever technology that advisors are currently using, rather than forcing them onto a custodian platform, Stave insisted. Can RBC make headway against the Big 4 Custodians? Stave believes that they can. In his opinion, RBC has a more solid base to build on than TD Ameritrade had 10 years ago. Also, none of the other custodians are coming out with a solid hybrid advisor offering similar to BLACK, he challenged. BLACK will also provide an advantage when competing for assets against other niche custodians (i.e. TradePMR, Folio Institutional, Trust Company of America). RBC has a good reputation for customer service as well as a strong balance sheet, Stave noted. 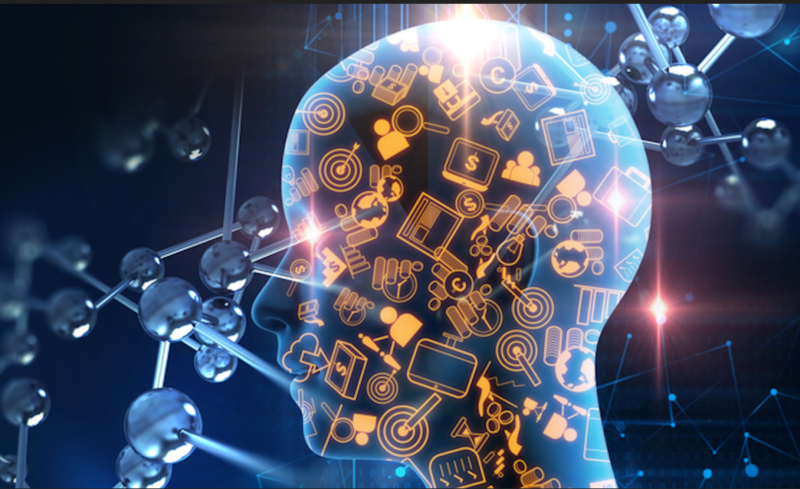 Their new BLACK advisor workstation could help set them apart from other niche RIA custodians, increase their market share and make them a player in the market.